Have you been given the responsibility of arranging an unforgettable stag/hen weekend? Let us help! We promise to provide the best activities as well as being able to give you local knowledge on places to stay, eat, drink and party! 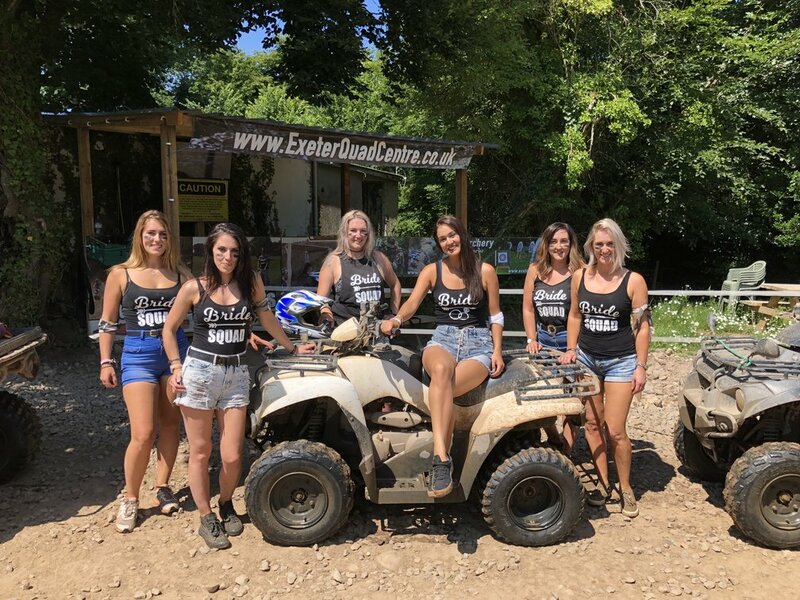 With over 25 Years Experience in Stag & Hen Events in Exeter & Devon. Multi activity days available BUILD YOUR OWN PACKAGE – Segways – Quads – Paintball – Clay Shooting – Archery – Laser Clay – Laser Tag – Inflatables – Battle Archery. For package prices click here. We own & operate all of the activities provided! Our experienced staff will look after you from start to finish. All Packages include discount tickets to get money off or free entry into various clubs and pubs! “Unique Online Hassle Free Booking System” We will allocate a dedicated Bookings Manager to your event – not just to help you out with bookings but also to be on hand for local information, hotels, restaurants, taxi’s etc.